At our Sunday worship services, we love to creatively express our love for Jesus. We start off by singing songs with music played by our church music band. All the words to the songs will be on video screens. Some people love to clap, raise their hands and even jump around to the music! 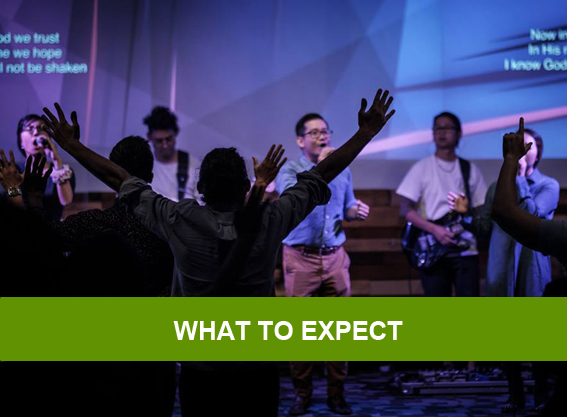 A service leader will talk about upcoming events and how you can get more involved at Sonlife Church, by volunteering or giving financially (giving and volunteering are not compulsory). This is followed by a message by a preacher, to encourage and challenge you. After the service there is time to meet new people and make friends. We really hope to see you this weekend! PERTH BUSPORT – Bus/Route 15 will take you directly outside Sonlife Church. Only a 10 min bus ride from Perth city! GLENDALOUGH STATION – Bus/Route 15 will take you directly outside Sonlife Church. Only a 15 min bus ride from Glendalough! LEEDERVILLE STATION – From here take a nice stroll along Oxford St. to Sonlife. It would take you less than 20 mins! No worries at all! 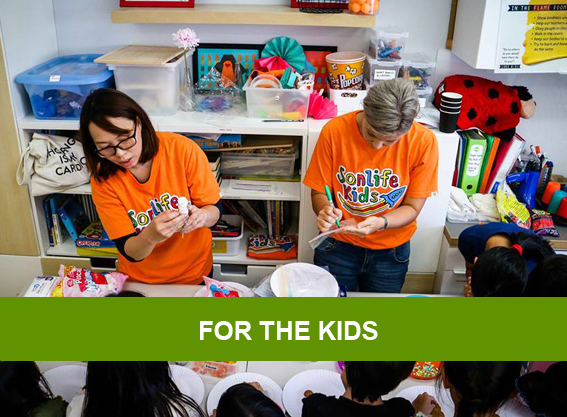 We have a fun, safe and friendly kids program that runs at the same time as the Sunday worship service, for all children between 2 to 12 years old. As you enter the church building one of our friendly volunteers will assist you with your child’s sign in. If you have little ones under the age of 2, we have settling rooms for your use. The rooms have feeding chairs, change tables and even a large screen so that you don’t miss out the action from inside the auditorium! PLEASE NOTE: Sonlife Kids sign in is open 15 minutes prior to and 15 minutes after the start of the service. In order for your child to have a great experience on Sunday and to ensure safety and security, we believe it is best to have a close off time for sign in. Please understand your child’s safety is a big priority to us. Once the official program starts, doors will be closed and all team leaders are required to be in with the children. Help us help you give your child a safe and awesome experience by signing in before 10:15am. We recommend you arrive with enough time to find a place to park! If you are visiting us for the first time don’t worry, we have a spot for you! Our VISITORS PARKING bays are directly opposite the church on Franklin Street. All other parking are located on the surrounding streets.